Learn To Sail This Summer At Your Vacation Home! 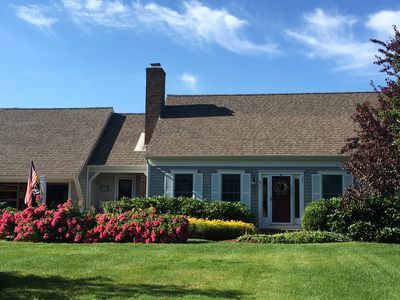 This 6-bedroom 3.5-bathroom home is the perfect setting for two families or multi-generation families vacationing together, as it has two master bedrooms—each with a king bed and private bath—located on opposite ends of the home. 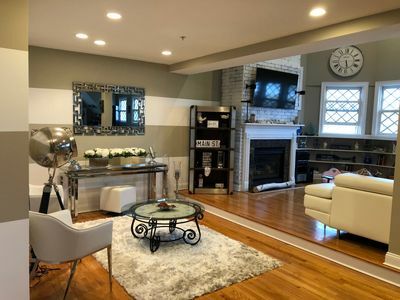 Additionally, 4 bedrooms are located on the second floor: 1 bedroom with a full bed and a single bed; one bedroom with three single beds, and two smaller bedrooms, each with a single bed. 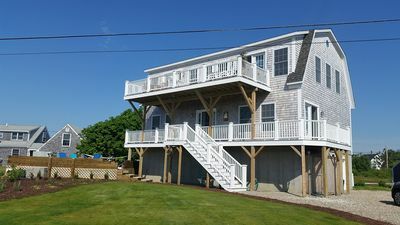 Besides the two master bathrooms, there is a half bath on the first floor and a bathroom with a tub on the second floor. 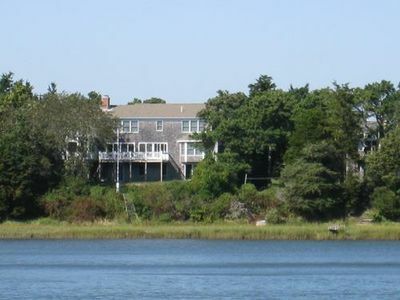 All bedrooms in the house have front and center views of Pleasant Bay and beyond to the Atlantic. The kitchen is well equipped with a new dishwasher and plenty of glassware. The adjoining dining room can easily seat dinner for 10. The spacious patio is accessed through the dining room for al fresco dining and taking in the view. The laundry room is just off the kitchen, and the parking lot can accommodate any number of cars. The outdoor shower is one of life’s simple luxuries. Ours is especially amazing, as you can shower away the day's sand and salt spray in relative privacy with a view of the Bay. Wow! The living room is expansive, with plenty of seating for family game night. Guests at one end of the living room can engage in conversation over the breathtaking view, while others on the opposite side of the room can play a board game or work on a puzzle. One friendly word of caution to our taller guests—like many historic cottages, the ceilings are noticeably low in the kitchen, dining room, and living room (6 ft 4 with a 6 ft 2 center beam). 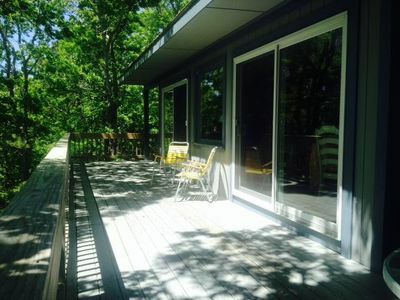 The bedrooms, however, have vaulted ceilings, and of course, the patio has unlimited sky. The patio is the heart and soul of the property. With plenty of seating, a Weber grill, and a constantly changing seascape, the patio will call your name to sit in a comfortable chair, dine under the open sky, and become mesmerized by the beauty of the Bay. 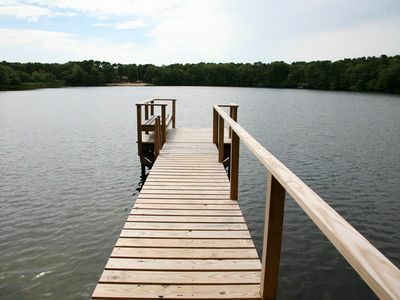 South Cottage is located on a shady bluff at the edge of 3.6-acres belonging to Pleasant Bay Community Boating (PBCB). 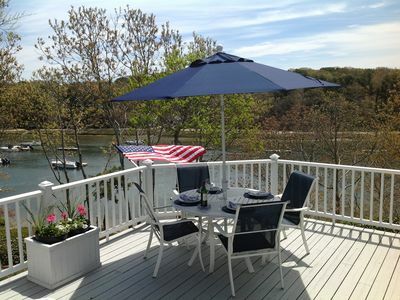 The waterfront is directly in front of the house, and the deck has commanding views of the Bay and its various sailing activities. 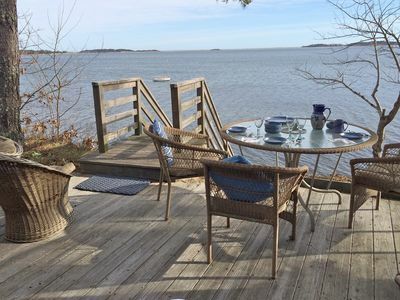 Enjoy your morning coffee and your evening meals on the rustic decks overlooking the Bay. Spend your day beach combing, exploring the Cape or sailing with PBCB. 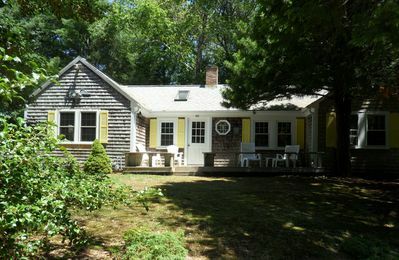 *Off-season guests (Fall, Winter, Spring) will find that South Cottage is the perfect location to take in the changing seasons. Plus, it is a centrally located launch pad for exploring the Cape. 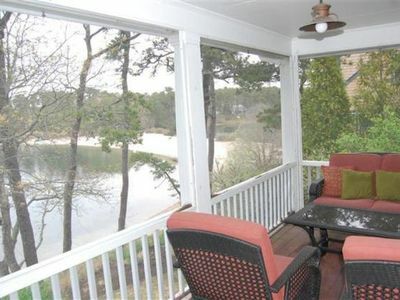 On this 3.6-acre property, we have a sister cottage, named Square Top, which can be viewed at vrbo.com # 781357. 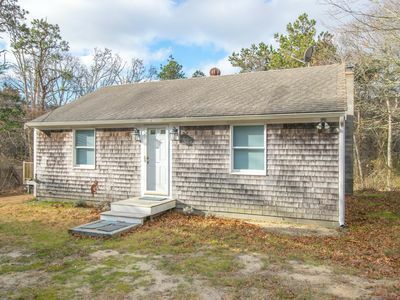 (South Cottage is 724608). 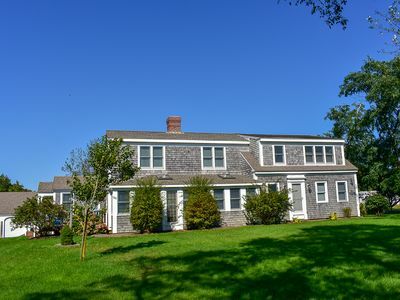 *View and location: South Cottage sits high on a bluff and is located further away from the road, whereas Square Top sits very close to the water but is also closer to the road. *Building: South Cottage is a rambling long cottage with vaulted ceilings in all the bedrooms, but noticeably low ceilings in the dining room, kitchen and living room. 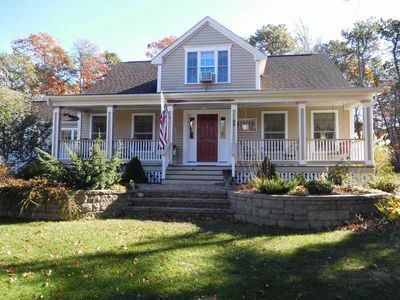 Square Top is an airy cottage with higher ceilings in the living room, but lower ceilings in the bedrooms. *Both houses have central AC, heat and wifi. Waterfront! 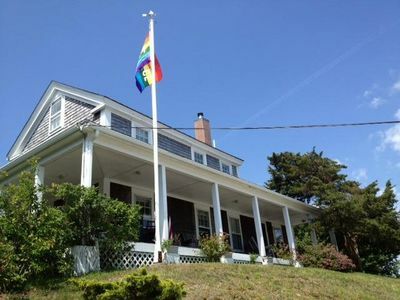 3 bdrm located in Provincetown’s quiet East End. 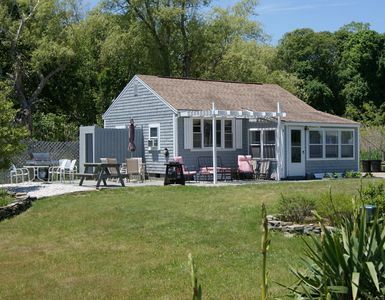 Waterfront Cottage - fantastic unobstructed views!! 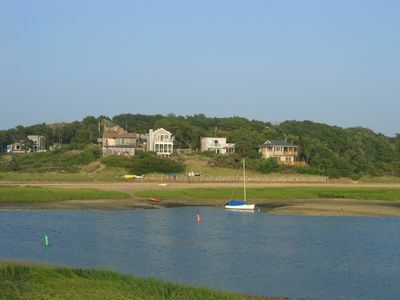 CHATHAM SALTWATER FRONT!!! Private Beach! Boating! Linens Provided! 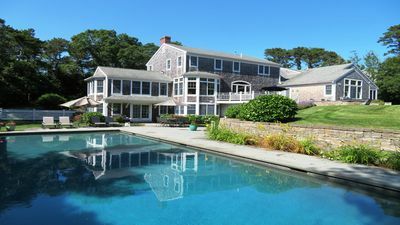 Private Waterfront On Freshwater Swimming Pond With Beach! Spacious Home a Short Stroll to Parker's River Beach! 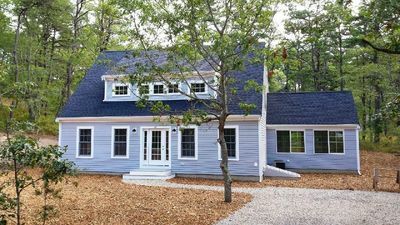 Newly Built Wellfleet Home with Central Air!! 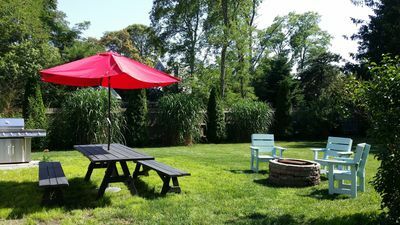 Lorna Dune - In ground pool, Pet Friendly, Central AC. Sleeps 12!